Woot-woot! Swanky Baby Vintage Prep School previews are now available on My Little Jules website! We are flipping over all the cuteness, it is so perfect for back-to-school outfits. Swanky Baby Vintage pre-orders will start tomorrow, June 29, at 9:00 am EST and My Little Jules boutique will carry the entire line. You can use Swanky Baby Vintage previews on our website to make yourself familiar with the line, start working on your wish list and check out Swanky Baby Vintage sizing info. My personal favorites are Swanky Baby Vintage Bella's Baby Doll top and Lily Layered Love Dress outfits. I especially love Lily Love dress for smaller girls. How sweet will it look with a pair of Pink Eraser Triple Ruffle Leggings? 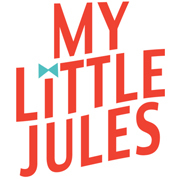 MY LITTLE JULES PRE-ORDER POLICY: We want you to be happy with what you get, so you can cancel items or your entire pre-order within 30 days with no penalty. Once your order is shipped, it is treated as a regular full-priced order, so you can return for a full refund or exchange within 30 day from shipping. Click here to read our Pre-Order Policy. Use coupon code PREORDER to pay only 50% down; the rest is due when your order is ready to be shipped. Please contact us for individual payment plans on orders or $500 or more. Don't forget that all orders of $69+ are shipped for free in the U.S., Canada and Puerto Rico (no coupon needed). My Little Jules boutique also ships internationally at low rates.